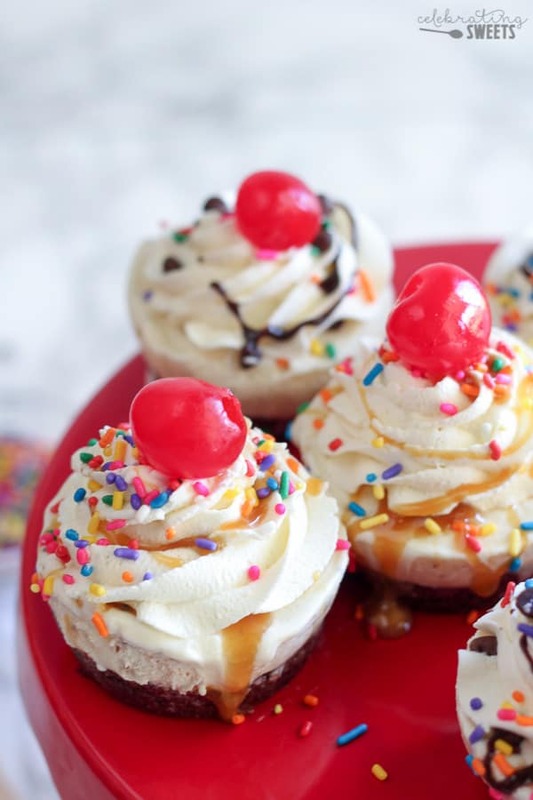 Ice Cream Cupcakes – Fudgy brownies topped with vanilla ice cream, whipped cream, hot fudge, caramel, sprinkles, and more! 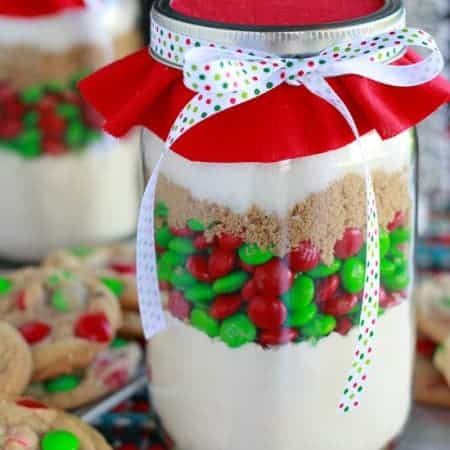 A fun individual dessert for adults or kids! I have a fun recipe for you today. 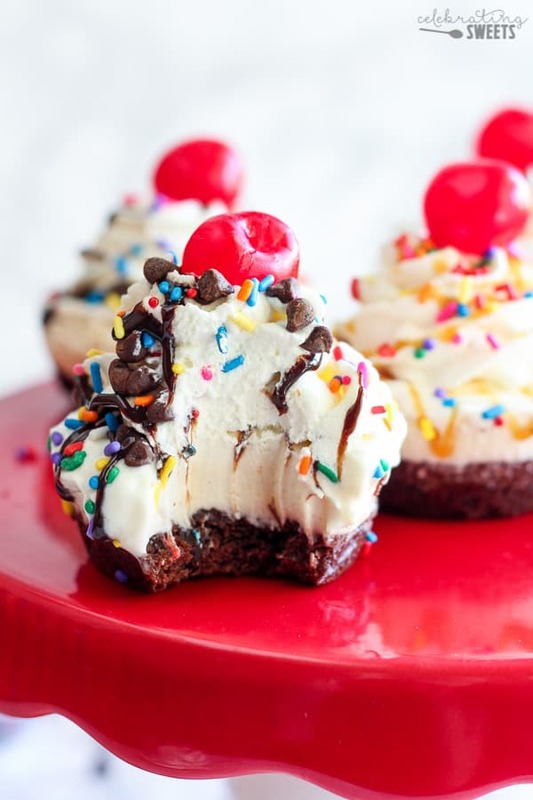 Who could turn down one of these Brownie Ice Cream Sundae “Cupcakes”? Not me! They’re cute and tasty – perfect combination! As you know (because I can’t stop crying talking about it), my son Jake started Kindergarten a couple weeks ago. We had a celebratory dinner the night before Kindergarten started. I made Jake his favorite meal (spaghetti! 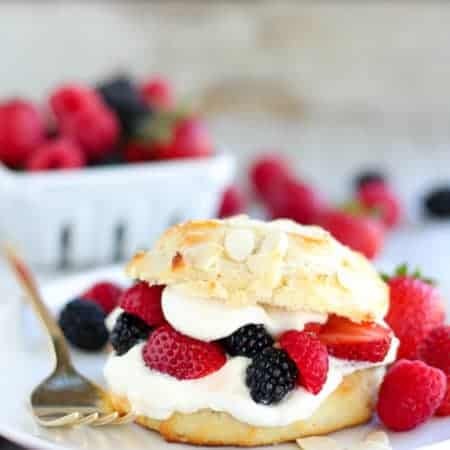 ), we toasted with glasses filled with sparkling lemonade, and I told that sweet boy of mine that I would make him anything he wanted for dessert. We were celebrating the start of a big milestone, and I wanted a special night to share in the excitement of this next stage. Jake is our resident chocoholic, so I knew he’d choose a dessert with chocolate. He requested something with brownies, and ice cream, and hot fudge sauce!! 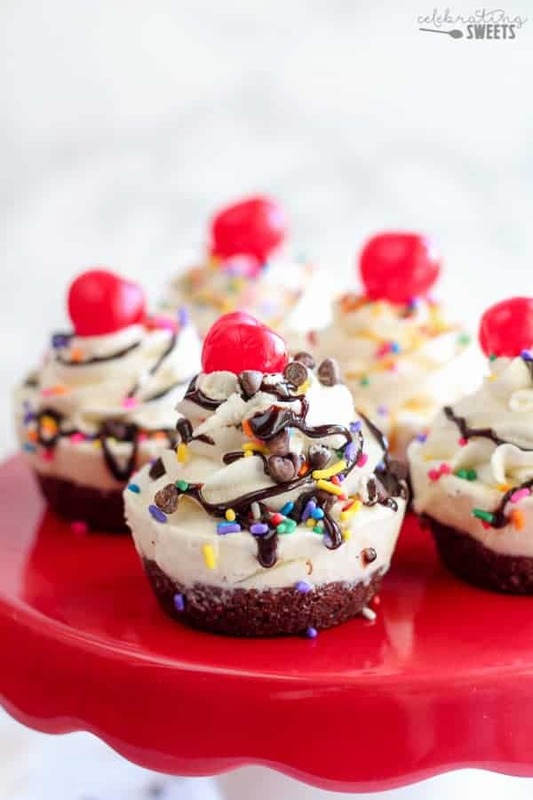 After a couple days of thinking, I came up with this recipe – Brownie Ice Cream Sundae “Cupcakes”. There is actually no cake involved in this dessert. I call it a cupcake because it is made in a muffin tin and shaped like a cupcake. In addition to being adorable, this recipe is also super easy. I took a shortcut with a boxed brownie mix and I used store bought ice cream. The fun part of this recipe comes once it is time to decorate these “cupcakes”. I let my kids decorate their own and they had a blast! This recipe would be great for a kid’s birthday party. 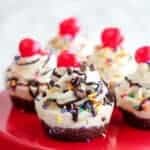 You could let the kids decorate their “cupcake” as an activity or you can serve them already decorated. Brownie Ice Cream Sundae "Cupcakes"
Fudgy brownies topped with vanilla ice cream, whipped cream, hot fudge, caramel, sprinkles, and more! 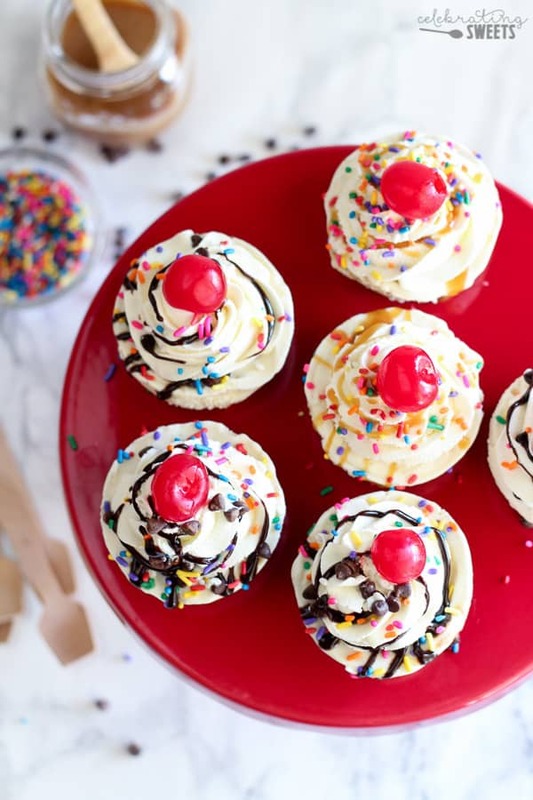 These ice cream sundae "cupcakes" are made in a muffin tin. This is a fun individual dessert for adults or kids! Prepare brownie batter according to box instructions. 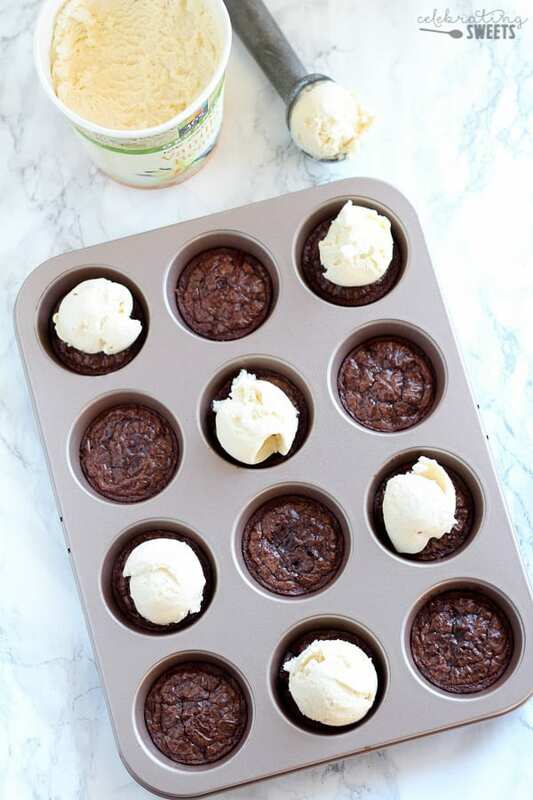 Thoroughly grease a muffin tin and pour 1 1/2 to 2 tablespoons of brownie batter into each greased muffin cup. Bake for 10 minutes (the brownies should be dry on the top but still slightly undercooked). Place pan on a wire rack to cool completely. Once the brownies are cool, scoop ice cream onto the top of each brownie and spread into a flat layer, make sure the ice cream is filled all the way to the top of each muffin cup. Cover tightly and place the muffin pans in the freezer until the ice cream is firm, preferably overnight. Right before serving: Prepare toppings. 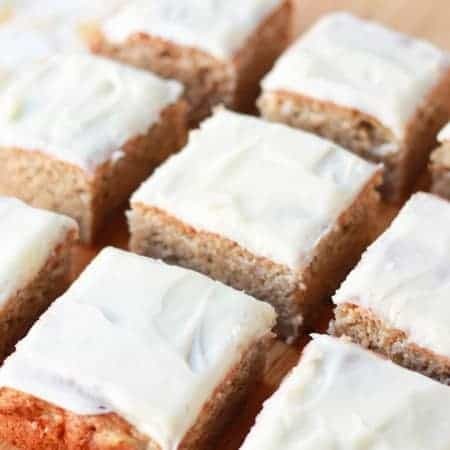 Remove the muffin pans from the freezer and carefully remove each "cupcake". Run a thin knife around the outside of each, if necessary. Top with whipped cream, hot fudge, caramel, sprinkles etc. and serve immediately. As long as your muffin tins are well greased, the brownie and ice cream should come out easily. Run a thin knife around the outside of each cup, to help them release easier. Since it does take a little time to remove them, I suggest having a baking sheet in your freezer and placing the brownie ice cream cups onto the baking sheet as you remove them. This will keep them from melting. Could you use a cupcake liner to make for easier removal? Hi, Lisa. Yes, that should work. Enjoy! These look yummy but I’m wondering if the brownie would be hard to chew being in the freezer? If you take them out then the ice cream would melt. Hi, Steff. The brownie layer is quite thin, and the brownie is slightly underbaked and really chewy. This keeps it from being too hard to bite through once it is frozen.